• Design for request of high speed and big bobbin sizes. • Cantilever type motorized Pay off & Take up machine. • 2 AC motors drive the arms to open and close to lock or release the drum. 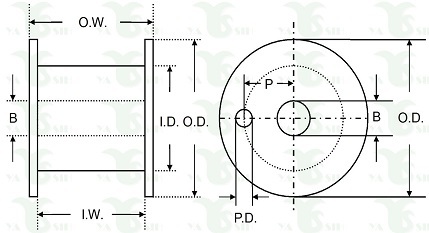 • A pair of hydraulic cylinder to raise up and lower down the drum. • HMI & PLC control systems for speed synchronization with the line. • High precision cable traversing completed by servo motor.